A brand-spanking new notebook from my beautiful girls for Christmas. With a little drawing and a message by each of them on the first two pages. Lucky Daddy. ‘Spell’ is also a Yorkshire colloquialism for a splinter. I’m not a religious man. I prefer to measure our planet’s years in billions rather than thousands. But each to their own. I respect everyone’s right to believe what they like. That, and I get to play with my kids’ toys. 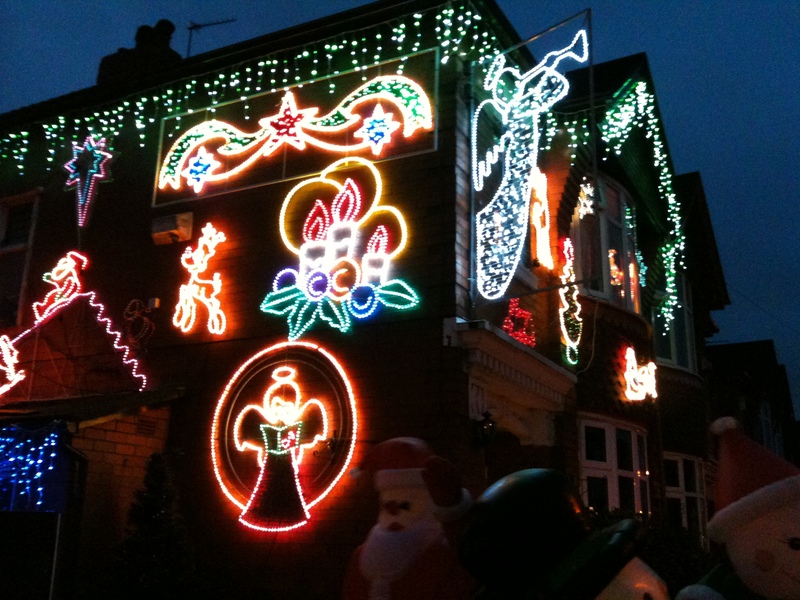 But t’other day, I was out for an early evening walk with my two children, when we happened upon a house that had more lights on it than a Vegas casino. 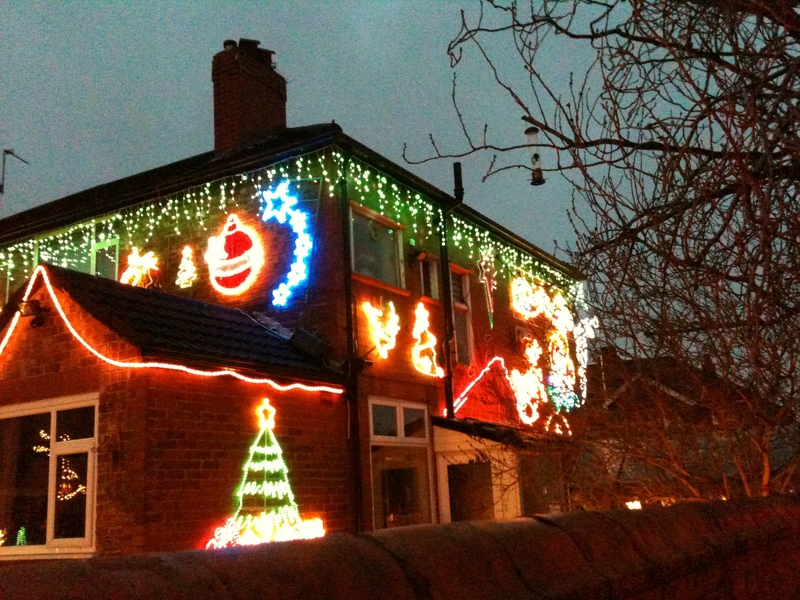 Some people may think this sort of thing is tacky. Personally, I love it. And, more to the point, my kids loved it. We were peeking over the garden wall, like a trio of midget burglars casing the joint when, all of a sudden, a man came out of the house clad in a Man City football top. 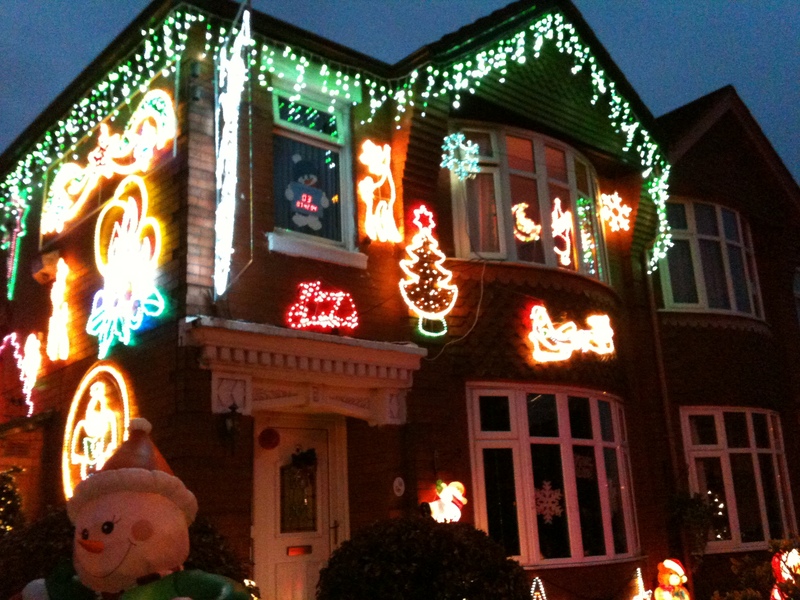 I was about to make my apologies for being a nosy neighbour when he invited us into his back garden to view the rest of his neon Xmas extravaganza. 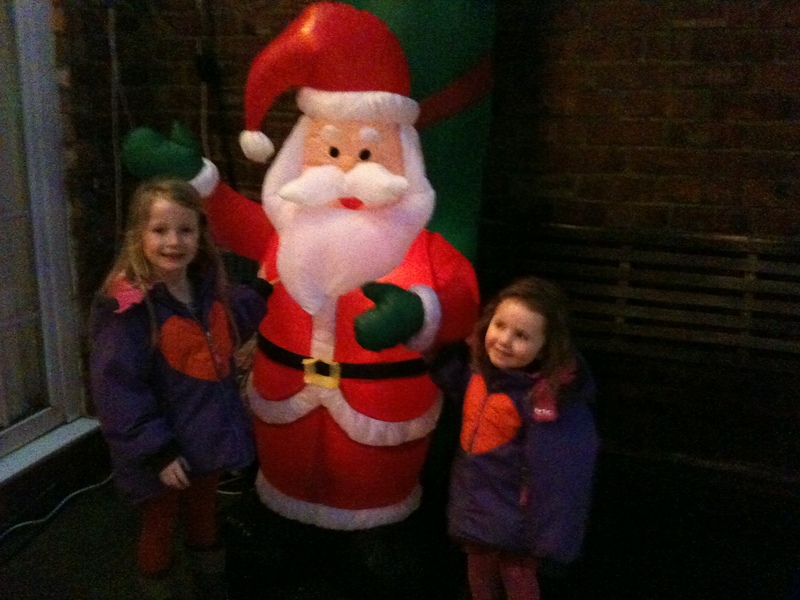 And we weren’t disappointed – Santas, reindeer, snowmen, penguins, sleighs, trains, nativity dioramas, it was all there. After a few minutes we made to leave, and the friendly man came to his door once again. This time he was holding two presents. One for each of my girls. He didn’t want anything in return. He said it was just the spirit of Christmas. I got the impression that this wasn’t a new thing for him. And that he probably gets lots of passersby whom he invites in to see the full show in the back, and no doubt he gives them a little prezzy too. 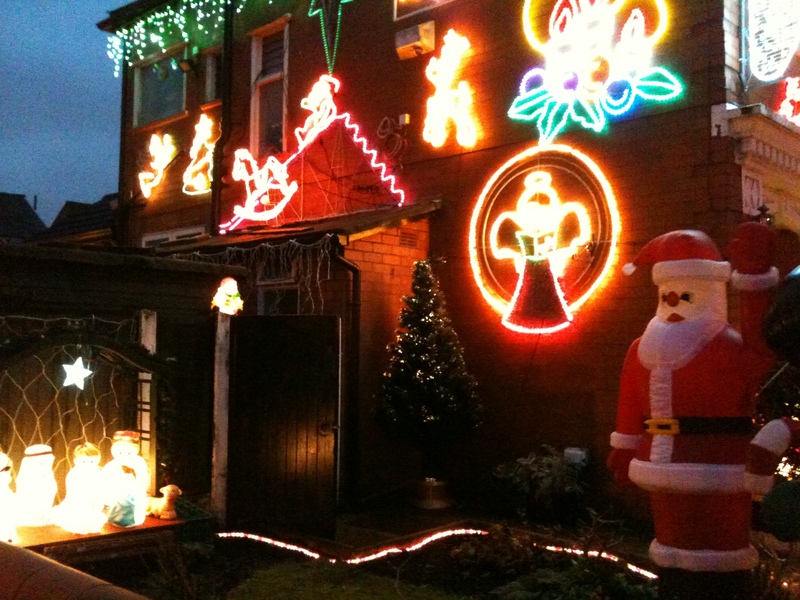 This man brought a little bit of sparkle and magic to the neighbourhood and wanted nothing in return. Now that really is, The True Spirit of Christmas. Here are a few unimpressive shots taken on my iPhone. (Not great in the dark.) Trust me, it looked pretty amazing. But the most amazing thing of all, was this act of pure giving. Thank you, Barney and Theresa for making two little girls, (and one old man), very happy.